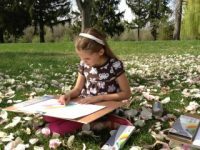 The Prairie School of DuPage, situated on 42 acres, is a close community with a hands on curriculum filled with the wonders of the natural world. Several criteria were used for deciding the placement of activity areas. Drop off and pick up location, drainage, protection from the elements, openness, proximity to water and storage, and safety and visibility were all taken into consideration during the planning stages of development. The play areas are located close to the main building and the main playground, Chipmunk Valley. All other areas branch off from this space. Because of the low student to teacher ratio, it is very easy to have adult presence and supervision. 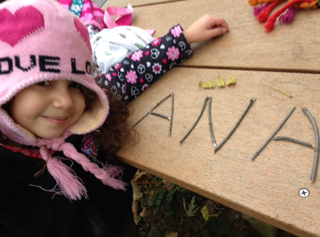 Unique and fun names were given to each of the delineated areas in the outdoor classroom. 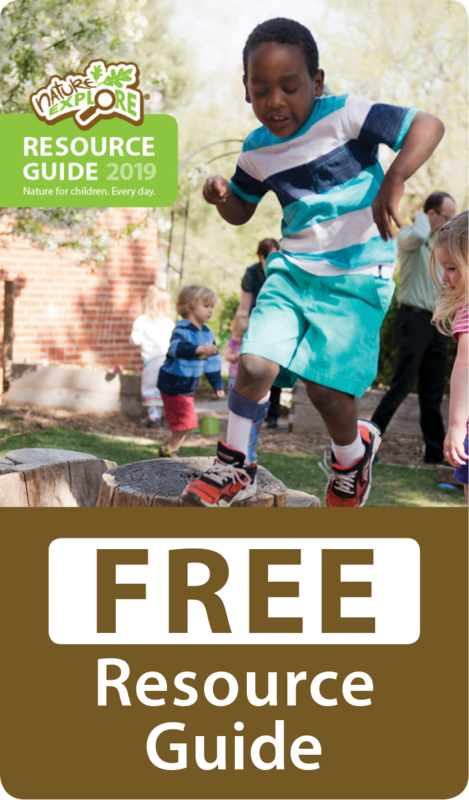 The paved basketball court/4-square is named Bird Hollow and other areas are named; Sand Pit, Bird Sanctuary, Science Shed, Labyrinth, Pond, Fire Circle, School Garden and Bee Garden. Areas are defined by a variety of ways. The school garden is fenced and has an entry gate, while the sand area is defined by buried stumps in a circular pattern. Other areas are defined by diversity in surfacing and added elements. Wood chips, rough logs, tables, stone, rocks and plantings add interest to areas. The labyrinth has a sign posted with information about its uses and history. The Prairie School of DuPage outdoor classroom adheres to a “natural playground” concept with lots of natural materials provided for play. Four groupings of low growing evergreens, situated on the four corners of the space, provide many opportunities for climbing and a sheltered, secret place to play. Building, construction and art happen when the children engage in the areas. Art is an integral part of everything at Prairie School. 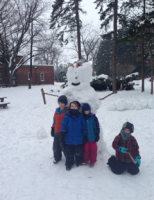 Natural art happens all over the campus with the children being inspired by the grounds and teachers asking open ended questions, spring boarding the children’s imaginations and innate desire to create. Daily activities include stacking branches and sticks, weaving with willow branches, making designs and patterns with small stones, pinecones and leaves to create a picture. Located on 42 acres of combined open and semi-wooded areas, there is an abundance of mature deciduous and coniferous trees and shrubs located throughout the property. Oak, maple, locust, and pines predominate. The play areas have been designed to blend in with the natural surroundings with no disturbance to existing trees and plantings. A vineyard and orchard provide grapes and apples for snacks and juice and honey is harvested from the hives on the property, providing a natural sweetener for baking, cooking and tea making. The outdoor space contains minimal evidence of manufactured or man-made materials. Prairie School children and families were involved in planning and constructing the outdoor play areas. The elementary children researched, designed and planted the school garden and bird sanctuary. Over the summer months, families, teachers and staff worked side by side harvesting and weeding the school garden. Parents assisted in lining the area with logs, hauling and spreading woodchips and filling the sand pit. The Prairie School encourages parent and family participation in a number of ways. The primary children begin and end their day outdoors. Parents and families spend time in the gathering area at drop off and pick up. 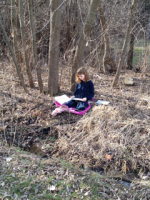 Nature is a large part of the curriculum at the Prairie School with a significant part of each day spent outdoors and in all kinds of weather. The day begins outside. Elementary students are engaged in morning observations and bird watching every day before heading inside and the Primary students spend the first 90 minutes of each day engaged in focused observations and exploration.